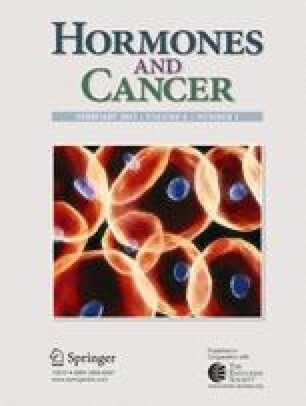 Progestins play a deleterious role in the onset of breast cancer, yet their influence on existing breast cancer and tumor progression is not well understood. In luminal estrogen receptor (ER)- and progesterone receptor (PR)-positive breast cancer, progestins induce a fraction of cells to express cytokeratin 5 (CK5), a marker of basal epithelial and progenitor cells in the normal breast. CK5+ cells lose expression of ER and PR and are relatively quiescent, increasing their resistance to endocrine and chemotherapy compared to intratumoral CK5−ER+PR+ cells. Characterization of live CK5+ cells has been hampered by a lack of means for their direct isolation. Here, we describe optical (GFP) and bioluminescent (luciferase) reporter models to quantitate and isolate CK5+ cells in luminal breast cancer cell lines utilizing the human KRT5 gene promoter and a viral vector approach. Using this system, we confirmed that the induction of GFP+/CK5+ cells is specific to progestins, is dependent on PR, can be blocked by antiprogestins, and does not occur with other steroid hormones. Progestin-induced, fluorescence-activated cell sorting-isolated CK5+ cells had lower ER and PR mRNA, were slower cycling, and were relatively more invasive and sphere forming than their CK5− counterparts in vitro. Repeated progestin treatment and selection of GFP+ cells enriched for a persistent population of CK5+ cells, suggesting that this transition can be semi-permanent. These data support that in PR+ breast cancers, progestins induce a subpopulation of CK5+ER−PR− cells with enhanced progenitor properties and have implications for treatment resistance and recurrence in luminal breast cancer. The online version of this article (doi: 10.1007/s12672-012-0127-5) contains supplementary material, which is available to authorized users. The authors wish to thank Elaine Fuchs for the gift of the human CK5 promoter fragment, Dean Edwards for the T47D-PRnull cells, Bill Wood for the pA3Luc plasmid, Storey Wilson for assistance with quantitative software analysis, the Molecular Pathology Core, and the University of Colorado Flow Cytometry Core for their expert technical assistance and services. This work was supported by grants from the Cancer League of Colorado ((fellowship to S.D.A., pilot award to D.V.L. and C.A.S. ), the Wendy Will Case Foundation (C.A.S. ), and the National Institutes of Health R01 CA140985 (C.A.S. ).